Please note, if you wish to use the CSV method for Bulk Upload, you will need to contact the ACE Support team for the CSV file. 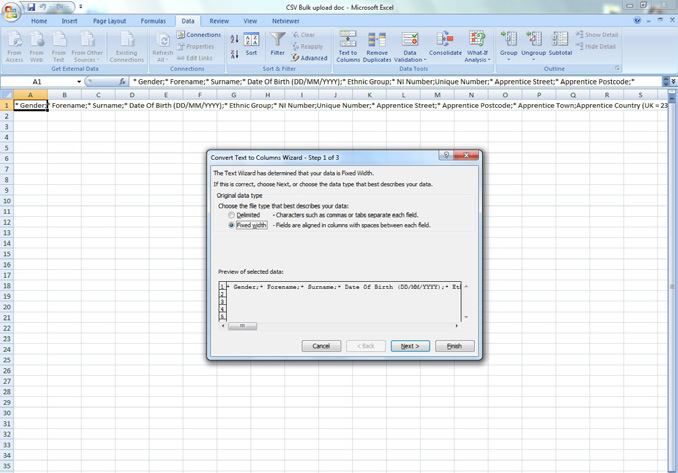 Once you have the file you will be able to follow this guidance on how to populate the CSV file. 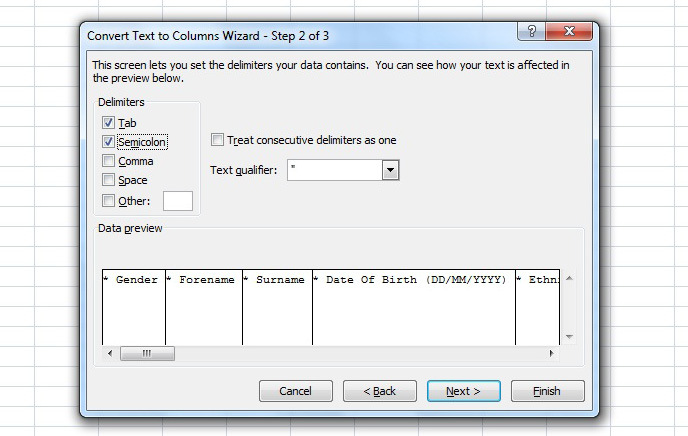 You will then see the option to set the Delimiters (the column headings). By ticking the selection Semicolon the wizard will automatically set the headings into columns which you will be able to see in the preview box, select Finish  this will then separate the columns and you are now able to fill in the apprentices details that you would like to load. Now the file is in the CSV file format and correctly setup, return to the Bulk Upload page of the ACE website. • Select Choose File, a pop up box will appear that will allow you to navigate to the location where you saved the CSV file. Once you have selected the correct file, click the Open button which will transfer the file path to the Choose a File field in ACE and then click the Upload button. • The ACE system will upload and convert the information from the CSV file. , will the uploaded data be saved onto the ACE system. 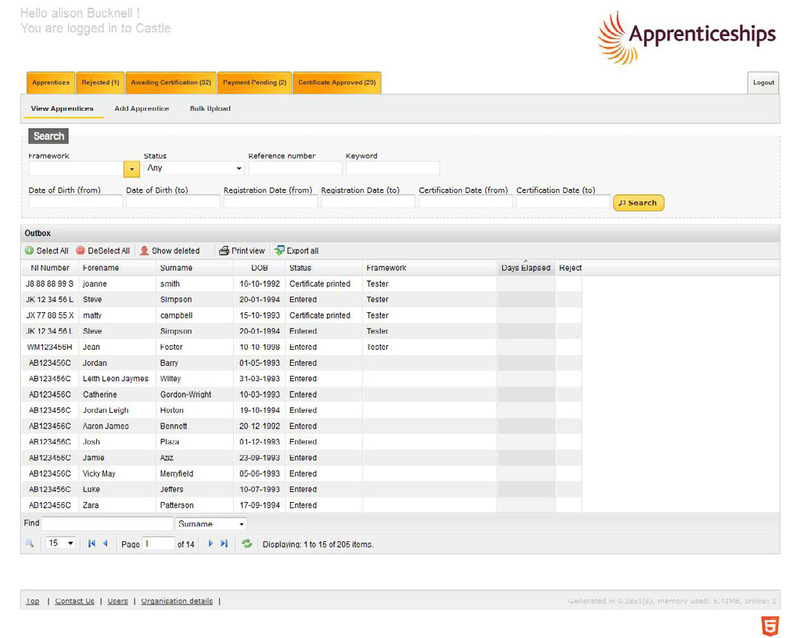 Now that the apprentices records have been created, you will need to search and go to individual records to add the framework information and use the certification evidence tab to upload the required evidence of achievement. This will need to be done before you are able to submit a certificate claim using ACE. The system will then show all apprentices loaded that day. 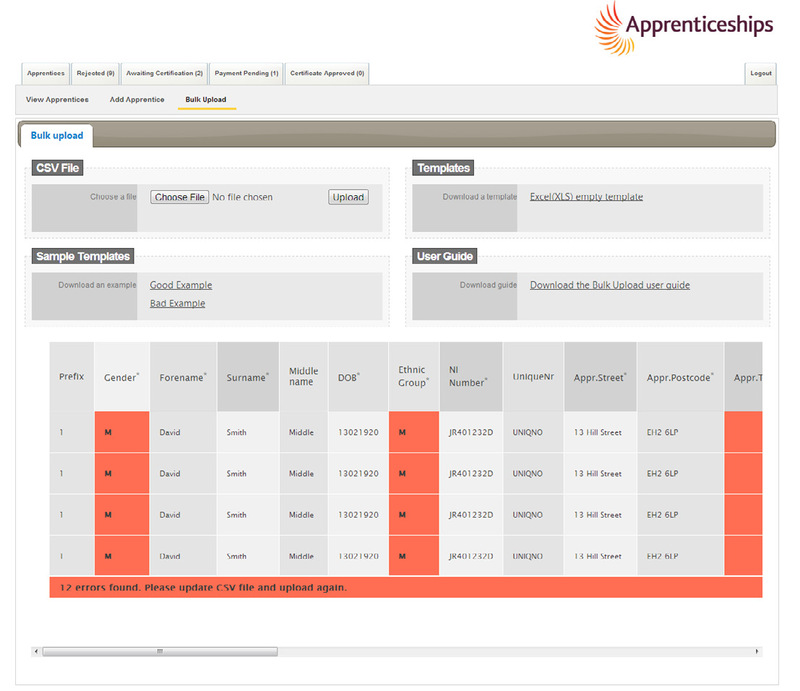 You can then extend the amount of apprentices per page up to 100 and either export all or work your way through the list. If you choose to export all you will need to do this for every page and the system will create a file that you can open in excel which displays the ACE number for each apprentice. 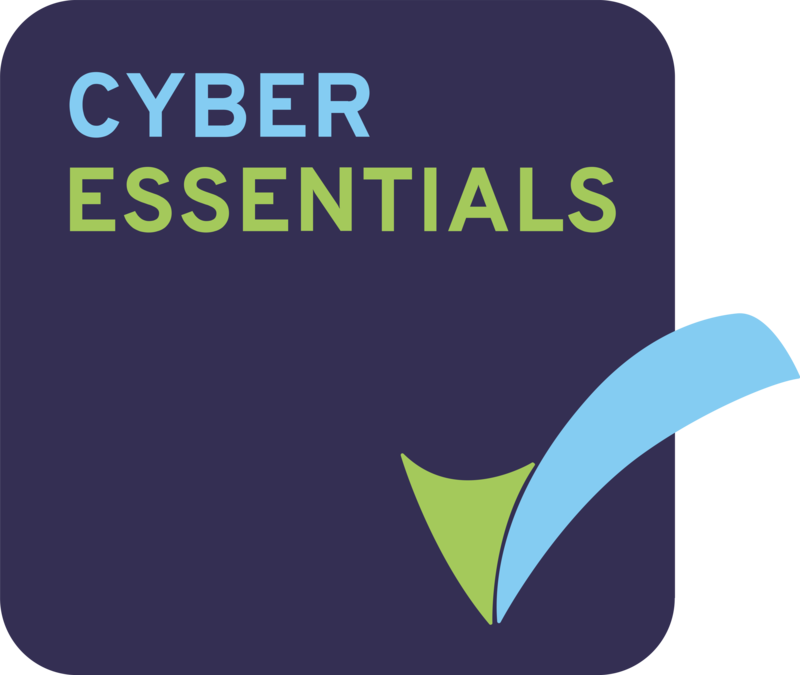 If the MIS that you use does not currently have an export process (to extract the data in a format that is suitable for uploading to ACE) then please contact the Federation as we may be able to facilitate this by working with individual software suppliers.